The ACYMC will explore the call of Pope Francis to ‘Open New Horizons for Spreading Joy’ and going out to the peripheries to support young people in finding their place in the world. Archbishop Anthony Fisher OP, Archbishop of Sydney and Bishops Delegate for Youth, shared his hopes about the fourth ACYMC. “The ACYMC is an important resource for the Church in Australia. It provides a unique formation and training forum for those who support and minister to young people. In the Year of Youth, our work with young people has a renewed focus. I look forward to listening to the ACYMC attendees and carrying their voice directly back to Pope Francis and the Synod Fathers,” Archbishop Anthony said. Bishop Vincent Long OFM Conv, Bishop of Parramatta, has also shared his excitement about hosting the ACYMC and responding to the needs of young people in Australia. ACYMC will include elements of formation, retreat and a unique forum in which youth ministers can contribute to future national initiatives and support. The convention program and speakers will be announced in early 2018. 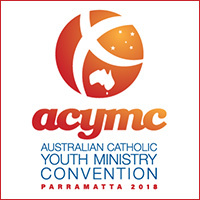 Further information about ACYMC 2018 will be available on www.youth.catholic.org.au. This entry was posted in Press Releases on November 13, 2017 by ACBC Communications.